Kilmarnock in New Zealand employs 80 people with intellectual disabilities, delivers commercial contracts for big businesses and is about to launch its own training academy. But just a few years ago the organisation was at breaking point. Marketing manager Islay Rackham tells its story. When I first came to Kilmarnock I discovered a unique organisation, the likes of which I hadn’t seen before. Not entirely commercial, but not entirely social either. With a background in the social sciences and with a passion for the charitable sector, I was blown away by the organisation’s business acumen and massive growth trajectory. I was surrounded by experienced professionals who had already had impressive careers in hotel management, manufacturing, sales and telecommunications. Previously a stoic supporter of not-for-profit, I became an instant convert to the business-for-good model. All it took was to see an organisation that was leveraging commercial excellence and strong business to not only provide a purposeful and valuable workplace for a marginalised group of people, but a movement that was changing hearts and minds and systematically breaking down societal barriers at a speed I had never experienced before. The potential was overwhelming. But even in my inexperience, I could see that Kilmarnock was entering a very progressive chapter of a long and not always uplifting journey. Kilmarnock’s story is one of transition: from an enlightened idea, to a well-respected and well-known local cause, to a struggling charity and finally to becoming one of New Zealand’s leading social enterprises. 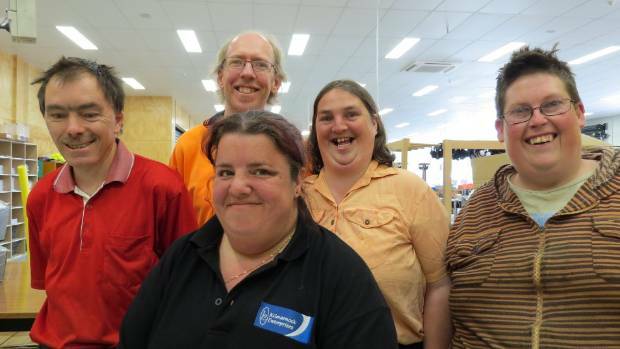 Today, we employ over 80 awesome people – most with some form of intellectual disability. We fulfil commercial manufacturing contracts for some of New Zealand’s biggest businesses including Fonterra, The Gough Group, and Air New Zealand. We have a comprehensive and holistic health and wellness programme that has empowered our team to gain more independence. Soon we will be taking our pilot to the public and launching the Kilmarnock Training Academy. Even five years ago, this growth was unimaginable. Over 60 years ago a remarkable woman identified a problem in her community. She saw inequality deeply entrenched into societal and educational systems and she knew that there was a group of people who, through a lack of empathy and understanding, had been stripped of hope and opportunity. She envisioned a world where the fundamental dignity of people with intellectual disabilities was respected and where everybody was allowed the freedom to aspire. But Miss Christabel Robinson didn’t stop at just an idea, she created a solution. She harnessed the power of purpose and opened Kilmarnock, then The Canterbury Sheltered Workshop Association, where she used education and employment to bring new meaning to the lives of adults with disabilities. To this day, Kilmarnock holds close the values of its founder. We acknowledge and respect the fundamental value of all individuals. As an employer, we are committed to providing a supportive, respectful, and compassionate environment for our team where they can learn, grow and reach their full potential. It is our social responsibility to promote equitable treatment and the elimination of discrimination in the wider community. The founding vision has guided Kilmarnock towards some incredible successes and also kept our conviction strong through some very difficult times. In the beginning, the organisation was supported by many powerful patrons. Educationalists and local politicians sang Kilmarnock’s praise and the government provided considerable support and funding. Local businesses such as the Returned Veterans Association and a local shoe manufacturer outsourced small bits of work which kept the team busy and provided a tokenistic income. For many years this worked well but as the political environment changed, so did the government’s commitment to funding initiatives such as Kilmarnock. After many years of dwindling income, an unequal dependency on government and a defensive relationship with the community, Kilmarnock hit a breaking point. In 2011, just a few days before the Christchurch earthquake that February, we got a call to say the Returned Veterans Association ANZAC Poppy contract was to be sent offshore, taking with it 30% of Kilmarnock’s revenue-generating activities. For the last 33 years, assembling the commemorative poppies had been a great source of pride for the Kilmarnock team. They knew that every poppy worn on ANZAC day was made by them and that their contribution was appreciated. Kilmarnock’s pride was dented and we were on the precipice of financial collapse. As it turns out, this was the shake-up Kilmarnock needed. Faced with defeat, Kilmarnock returned to the vision of Miss Christabel Robinson and, with renewed passion and direction, the organisation began a dramatic transformation. We started by forming four pillars: purpose, people, community and, the previously undervalued, commercial. Kilmarnock’s purpose meant we had every reason to fight for survival. We knew that Kilmarnock was opening doors for uniquely talented people and giving them the confidence to pursue their idea of a good life. At the time I joined, Kilmarnock was supercharging its culture and building back an organisation that valued diversity, inclusivity and creativity; abolishing the hierarchy that had built up over the years. We developed a comprehensive and holistic health and wellbeing programme that addresses fitness, nutrition, personal safety, budgeting, self-determination and empowerment. A structure was created that encourages professional development and the undertaking of responsibility. Now we have a culture that is envied by the social and commercial world alike. We’ve realised that a core component of what Kilmarnock has to offer is the changing of attitudes. We have an incredible team of people with disabilities who are perfectly capable of breaking down the stereotypes that exist about them. So we have opened our doors and invited the world in. With transparency as a core value, we have connected with schools, businesses, government and the community. Just like me, everyone who comes into contact with Kilmarnock becomes enthralled and inspired by the story. With strong strategic direction, our commercially-experienced CEO and diverse board turned our financial situation around and we now generate over 85% of our revenue through commercial activity. 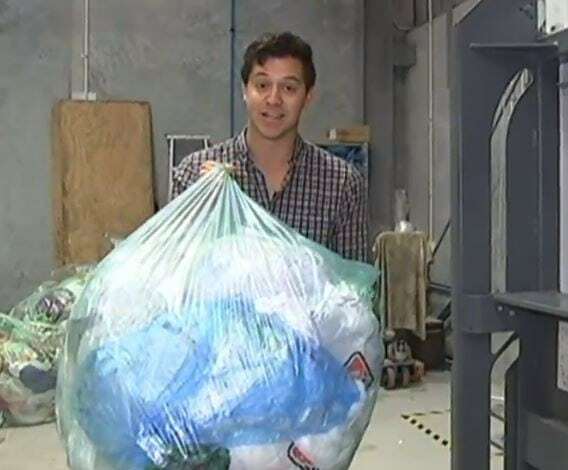 We have honed in on our unique competencies and rapidly diversified our contract work to include collating and packing, labelling, food packing, e-waste recycling, woodworking, sewing, refurbishing, assembly, health and safety training and office services. With newfound confidence in our abilities, we have sourced commercially viable contracts with well-respected national and multinational businesses on an equal footing. With certifications in quality and food safety, we win contracts on merit and have become proof that a diverse workforce holds the keys to success. With ambition and enthusiasm at an all-time high, Kilmarnock has made the bold decision to embark on the next chapter of this story. It took absolute determination and fortitude to secure the first large-scale case of social impact investment in New Zealand. As a result, Kilmarnock has moved into our brand new, fit for purpose premises that we call Basecamp and we are now beginning the journey to becoming an accredited training academy. The name ‘Basecamp’ came from the idea that Kilmarnock is a warm, safe starting point at the beginning of an ambitious journey. A place where people can prepare and become equipped before going on to achieve incredible things. In working with the community, Kilmarnock has identified a metaphorical cliff for school leavers with intellectual disabilities. While many of their peers move on to employment, university, apprenticeships and training institutes, the same further education stepping stones aren’t available to those with disabilities in New Zealand. The Kilmarnock Academy will provide a bridge between high school and employment for school leavers with disabilities by providing hands-on, practical training, enabling those wishing to find employment to pursue their passions. If Miss Christabel Robinson could see her little charity now, she would be overwhelmed by the incredible path it has taken. Far from dampening her vision, the adoption of a social enterprise model has amplified the social impact of the organisation, enabling greater opportunity, inclusion and personal and professional growth for people with an intellectual disability in New Zealand. I know that despite the overwhelming transformation and growth experienced over the past 60 years, this is just the beginning for Kilmarnock. Kilmarnock’s CEO, Michelle Sharp (pictured left, centre, with Kilmarnock employees), will be speaking at the Social Enterprise World Forum 2017, which will be held in New Zealand on 27-29 September. For more details, see www.sewf2017.org. Pioneers Post is a media partner to the event.